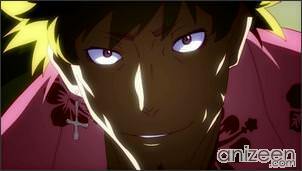 Third year high school student Koyomi Araragi seems ordinary, but he was recently saved from being an involuntary vampire by a mysterious homeless man named Meme Oshino. He is still scared of morning sunlight even though it no longer has any effect on him. Koyomi becomes involved with an aloof classmate, Hitagi Senjougahara, who infamously never talks to anyone, happens to fall down some spiral stairs and into Koyomi’s arms. Koyomi is surprised because, in defiance of physics, Hitagi appears to weigh almost nothing at all. 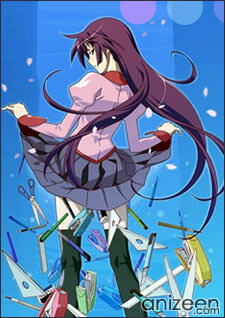 After Koyomi tries to find out some information about Hitagi from class president Hanekawa Tsubasa, Hitagi accosts Koyomi in an empty school hallway and threatens him with a box cutter and a stapler that she shoves into his mouth. Hitagi explains that a supernatural crab took away her weight, orders Koyomi to keep quiet about her, and emphasizes the order by driving a staple into Koyomi’s cheek. 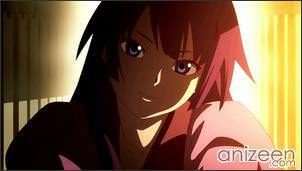 But Koyomi removes the staple and quickly confronts Hitagi again, letting her see that the staple wound healed immediately and telling her about his time as a vampire. 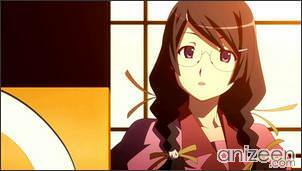 Koyomi then takes Hitagi to meet Oshino in the hopes that Oshino may be able to help Hitagi with her problem. 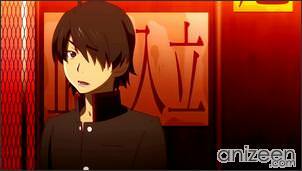 Koyomi Araragi is a third year high school student who is close to failing every class except math. Shortly before the novel begins, he was attacked by a vampire during spring break, and became a vampire himself. 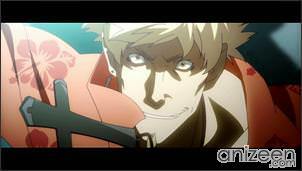 Although Meme Oshino helped him become human again, there are a few lingering side effects; he can see in the dark, and he heals faster than the average human. 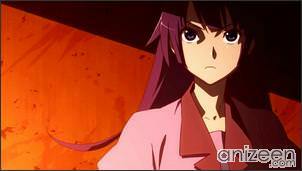 Hitagi Senjougahara is a weak-looking girl with an “incurable disease”. She is in the same class as Koyomi, but he has almost never heard her speak. When she was in the first year of high school, she encountered a mysterious crab, after which she became weightless. Ever since, she has avoided contact with everyone else, threatening everyone who discovers her secret. She called herself a tsundere and always speaks in an abusive style. Mayoi Hachikuji is a fifth-grade elementary school girl. She always carries around a big backpack, wears a hair-band, and has her hair in ponytails. Koyomi met her in a park on Mother’s Day and offered to help her find her mother’s home. She later reveals that, due to a Snail, they can never reach their destination and will always be lost. Suruga Kanbaru is Koyomi’s underclassman, ace of the school’s basketball team and one of Hitagi’s acquaintances from back in junior high school. 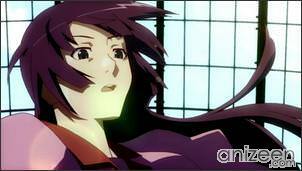 Immediately after she entered senior high school, she became aware of Hitagi’s secret and was threatened by her, just like Koyomi was. She’s an admitted lesbian, fujoshi, lolicon and masochist. Nadeko Sengoku is Tsukihi’s friend back in elementary school. She always wears a waist pouch; always cast her eyes downward, have her bangs covering her eyes, has a shy personality and can be easily amused. Koyomi plays with her a lot whenever she visited his house after being invited by his sisters. She was put on a curse and was going to die until Koyomi found out and offers her his help. 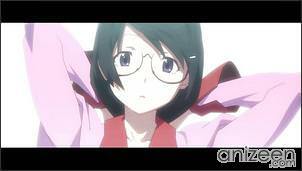 Tsubasa Hanekawa is Koyomi’s classmate and the class president. Koyomi describe her as “the class president of all class presidents”. She was possessed by bakeneko during a Golden Week due to stress over her family. Although it has since been resolved with the help of Shinobu at a cost of her own memories, the problems emerged again right before the school festival because of different stress. 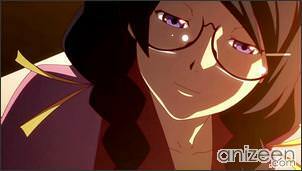 Bakemonogatari (化物語} is a Japanese light novel series written by Japanese novelist Nisio Isin and illustrated by Taiwanese illustrator Vofan. The series is published by Kodansha under the Kodansha Box imprint. 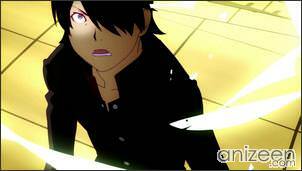 A 15 episode anime adaptation by Shaft started airing on July 3, 2009. Opening Theme: “staple stable” by Chiwa Saito ep 2,6; “Kaerimichi” by Emiri Katou ep 4; “ambivalent world” by Miyuki Sawashiro ep 8; “Renai Circulation” by Kana Hanazawa ep 10; “sugar sweet nightmare” by Yui Horie ep 14-15.